Professor Yearworth's research addresses the complex strategic decision making challenges faced by engineering organisations dealing with messy problems and is based on the use of Problem Structuring Methods (PSMs). 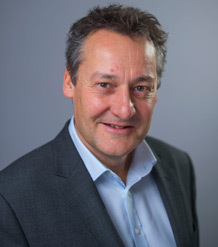 Professor Yearworth has worked with a wide range of organisations in developing and applying systems modelling and problem structuring approaches to strategic decision making. These include Guardian News and Media (GNM), Defra, Rolls-Royce Defence Aerospace, Thales UK, Dstl, Toshiba Telecoms Research Laboratory, Frazer Nash Consulting and Bristol City Council. His work is published in the European Journal of Operational Research, Energy Research & Social Science, Journal of the Operational Research Society, Energy Policy, Journal of Industrial Ecology, Systems Research and Behavioral Science and Systems Engineering. Mike has participated in 15 research projects with £25M funding from EPSRC, NERC, EU (H2020, FP7, FP6, FP5) and UK Gov (BIS, Defra, Highways Agency, DTI); 7 of these projects as PI and the remainder as named CoI. Mike joined the Business School in 2016 and was previously Professor of Engineering Systems at the University of Bristol where he worked on the development of problem structuring methods to support systems practice in engineering organisations. This built on his previous work whilst Senior Research Manager at Hewlett-Packard’s European Research Laboratory (HP Labs) where he managed a number of projects researching the development and application of system modelling techniques to understanding the performance of very large complex managed services with focus areas in data centre operations, information security and automation. Before joining Hewlett-Packard, Mike was Director of the Intelligent Computer Systems Centre at the University of the West of England. Mike is a Chartered Engineer (MINCOSE MBCS CITP CEng), originally a physicist (BSc, PhD University of Southampton), and also holds an MBA from the University of Bath. The growth of technology-rich data-driven decision environments is seen by some as a challenge to the future relevance of Operational Research. Extant research remains unspecific about the distinct contribution that Operational Research can make in environments that are influenced by big data, data science and analytics. This paper explores the possibility that these environments hold the potential for a new integrative Operational Research offering, which we conceptualise as Smart Operational Research. In developing this proposal, we combine automated co-occurrence analysis of a corpus of literature with human-driven data interpretation to identify instantiations of hybrid decision-making. We then bring theory and practice together to outline the Smart Operational Research framework with the overall aim to enhance actionable insight and positive results for Operational Research practitioners. Lowe D, Yearworth M (2019). Response to viewpoint: Whither problem structuring methods (PSMs)?. Journal of the Operational Research Society Full text. DOI. Yearworth M, White L (2018). Spontaneous emergence of Community OR: Self-initiating, self-organising problem structuring mediated by social media. European Journal of Operational Research, 268(3), 809-824. © 2018 Elsevier B.V. We develop a new constitutive definition of Community OR as a self-initiating, self-organising community actor network emerging spontaneously in response to a triggering event and showing evidence of non-codified OR behaviours leading to action to improve the problem situation. From this new definition we have re-conceptualised Community OR as a construct that can be empirically observed emerging from suitable behavioural data. Social media play an instrumental role, acting as both the source of data and the enabling mechanism through which this form of Community OR occurs. Social media afford new possibilities for community empowerment and participation, with consequences for social enterprise and citizenship. We use Actor Network Theory, and specifically the language of translations, hybrid forums, and Callon's Co-production of Knowledge Model (CKM), as the methodological basis for our definition and analysis. The appearance of hybrid forums as a self-organising response to community needs after an event would seem to be a natural milieu for a range of OR competencies. However, unlike traditional practitioner-led engagements, here the OR practitioner's competency enters in a supportive rather than leading role. We support our argument through the analysis of social media data arising from the community response to a devastating flooding event – the Carlisle floods of December 2015. Freeman R, Yearworth M (2017). Climate change and cities: problem structuring methods and critical perspectives on low-carbon districts. Energy Research and Social Science, 25, 48-64. Cities around the world have set climate change mitigation targets, yet actions to implement these targets have so far proved inadequate. Better methodology is needed to support this impetus for action. Problem structuring methods (PSMs) enable improvements to be made in wicked problem situations; they appear to have potential to improve climate change mitigation actions but they are difficult to carry out in highly pluralist problem contexts. A case study (STEEP) that applied a PSM to support low-carbon urban energy master planning in three cities is presented. The STEEP methodology was effective in reducing the wickedness of the problem but issues of a lack of clarity on problem ownership and lack of interessement were seen. A reflective boundary critique study found that there was a mismatch between power and interest amongst key stakeholders towards the low-carbon vision. Three key issues identified in the case study were discussed through the lens of critical systems thinking: (i) the need for new competencies, (ii) dealing with wickedness, and (iii) behavioural complexity and discordant reference systems. The paper suggests how these issues might be improved through the application of non-PSM theories which can support the use of PSMs in improving city-level climate change mitigation. White L, Burger K, Yearworth M (2016). Understanding behaviour in problem structuring methods interventions with activity theory. European Journal of Operational Research, 249(3), 983-1004. © 2015 Elsevier B.V. and Association of European Operational Research Societies (EURO) within the International Federation of Operational Research Societies (IFORS). All rights reserved. This article argues that OR interventions, particularly problem structuring methods (PSM), are complex events that cannot be understood by conventional methods alone. In this paper an alternative approach is introduced, where the units of analysis are the activity systems constituted by and constitutive of PSM interventions. The paper outlines the main theoretical and methodological concerns that need to be appreciated in studying PSM interventions. The paper then explores activity theory as an approach to study them. A case study describing the use of this approach is provided. Yearworth M, White L (2014). The non-codified use of problem structuring methods and the need for a generic constitutive definition. European Journal of Operational Research, 237(3), 932-945. When we use a PSM what is it we are actually doing? an answer to this question would enable the PSM community to considerably enlarge the available source of case studies by the inclusion of examples of non-codified PSM use. We start from Checkland's own proposal for a "constitutive definition" of SSM, which originated from trying to answer the question of knowing when a claim of SSM use was legitimate. By extending this idea to a generic constitutive definition for all PSMs leads us to propose a self-consistent labelling schema for observed phenomena arising from PSMs in action. This consists of a set of testable propositions, which, through observation of putative PSM use, can be used to assess validity of claims of PSM use. Such evidential support for the propositions as may be found in putative PSM use can then make it back into a broader axiomatic formulation of PSMs through the use of a set-Theoretic approach, which enables our method to scale to large data sets. The theoretical underpinning to our work is in causal realism and middle range theory. We illustrate our approach through the analysis of three case studies drawn from engineering organisations, a rich source of possible non-codified PSM use. The combination of a method for judging cases of non-codified PSM use, sound theoretical underpinning, and scalability to large data sets, we believe leads to a demystification of PSMs and should encourage their wider use. © 2014 Elsevier B.V. All rights reserved. Burger K, White L, Yearworth M (2019). Understanding front-end project workshops with Social Practice Theory. International Journal of Project Management, 37(1), 161-175. © 2018 Elsevier Ltd and Association for Project Management and the International Project Management Association Stimulated by the growing interest in understanding the actuality of project managing and the need to better understand how front-end project workshops can be efficacious, we aim to turn workshops-as-practice into a meaningful object of inquiry. We operationalise Social Practice Theory by studying the intertwining of materials, skills and meaning in video-recorded micro-episodes in a front-end project workshop. Our findings illustrate how material elements provide sensitive assistance as professional skills are enacted in structuring the project-specific urban development challenge. Our theoretical, methodological and empirical approach makes the characteristic tension of practice between transformation and reproduction accessible for empirical inquiry and theorising from practice, thereby helping to develop project management knowledge that resonates with the experience of the project practitioner. Ackermann F, Yearworth M, White L (2018). Micro-processes in Group Decision and Negotiation: Practices and Routines for Supporting Decision Making. Group Decision and Negotiation, 27(5), 709-713. Full text. DOI. © 2018 the authors. Systems Research and Behavioral Science published by International Federation for Systems Research and John Wiley. &. Sons Ltd the use of problem structuring method (PSM) interventions leads to outcomes unique to the circumstances of the problem context. Given the singular nature of these outcomes, a consultant attempting to sell a PSM intervention will struggle to articulate value to clients in terms that are commercially meaningful prior to the intervention being enacted. Thus, in order to win a contract to deliver a PSM intervention, the consultant must first resolve this puzzle. We explore this question by (i) reviewing how the value of PSMs has been assessed previously, (ii) setting out a suitable theoretical position to explore the problem and (iii) presenting empirical data from a commercial organization to build our theoretical position. This starts with agreement with Checkland and Scholes that attempting to sell the (financial) value of a PSM intervention a priori is unlikely to ever succeed. Our theoretical development through analysis of empirical data leads to the recognition that the process of selling a PSM intervention is bound to the interposition of the processes of problematization and interessement and the issue of trust. The recognition of a distinction between these and the actual enactment of a PSM intervention leads us to conclude that the process of selling the consulting engagement is entirely associated with the temporal ordering between them. We thus avoid the bind of the original puzzle only by articulating a paradox. To resolve the paradox, we shift analytical focus to the pre-contractual phase of the relationship between a consultant and client and discuss implications of this paradox for soft OR practice. © 2018 the authors. Systems Research and Behavioral Science published by International Federation for Systems Research and John Wiley & Sons Ltd.
Burger K, White L, Yearworth M (2018). Why so Serious? Theorising Playful Model-Driven Group Decision Support with Situated Affectivity. Group Decision and Negotiation, 27(5), 789-810. © 2018, the Author(s). An integrative approach to theorising behavioural, affective and cognitive processes in model-driven group decision support (GDS) interventions is needed to gain insight into the (micro-)processes by which outcomes are accomplished. This paper proposes that the theoretical lens of situated affectivity, grounded in recent extensions of scaffolded mind models, is suitable to understand the performativity of affective micro-processes in model-driven GDS interventions. An illustrative vignette of a humorous micro-moment in a group decision workshop is presented to reveal the performativity of extended affective scaffolding processes for group decision development. The lens of situated affectivity constitutes a novel approach for the study of interventionist practice in the context of group decision making (and negotiation). An outlook with opportunities for future research is offered to facilitate an integrated approach to the study of cognitive–affective and behavioural micro-processes in model-driven GDS interventions. Lowe D, Martingale L, Yearworth M (2017). Guiding interventions in a multi-organisational context: combining the Viable System Model and Hierarchical Process Modelling for use as a Problem Structuring Method. Journal of the Operational Research Society, 67(12), 1481-1495. Full text. DOI. Gilbert D, Yearworth M (2016). Complexity in a Systems Engineering Organization: an Empirical Case Study. Systems Engineering, 19(5), 422-435. Full text. DOI. Yearworth M, Cornell SE (2016). Contested Modelling: a Critical Examination of Expert Modelling in Sustainability. Systems Research and Behavioral Science, 33(1), 45-63. © 2016 John Wiley. &. Sons, Ltd. We discuss the role of expert modelling in sustainability using a framework designed to improve the effectiveness of the modelling process. Based on the development of a set of reflective questions that can be used at certain key stages in the lifecycle of projects developing such models, we discuss how using the framework would lead to improvements in the coupling of the process of expert modelling with the process of intervention, which is implied by the existence of the expert modelling project. This questioning pushes the development of a framework beyond considerations of ontology and epistemology into issues of axiology and praxis; extending the notion of contested modelling beyond the narrow scientific sense to a wider social setting. Our framework has been developed through a case study analysis of the effectiveness of four research initiatives that have used expert modelling to address the complexity of intervention in a sustainability context. Walworth T, Yearworth M, Shrieves L, Sillitto H (2016). Estimating Project Performance through a System Dynamics Learning Model. Systems Engineering, 19(4), 334-350. © 2016 Wiley Periodicals, Inc. Monitoring of the technical progression of projects is highly difficult, especially for complex projects where the current state may be obscured by the use of traditional project metrics. Late detection of technical problems leads to high resolution costs and delayed delivery of projects. To counter this, we report on the development of a updated technical metrics process designed to help ensure the on-time delivery, to both cost and schedule, of high quality products by a U.K. Systems Engineering Company. Published best practice suggests the necessity of using planned parameter profiles crafted to support technical metrics; but these have proven difficult to create due to the variance in project types and noise within individual project systems. This paper presents research findings relevant to the creation of a model to help set valid planned parameter profiles for a diverse range of system engineering products; and in establishing how to help project users get meaningful use out of these planned parameter profiles. We present a solution using a System Dynamics (SD) model capable of generating suitable planned parameter profiles. The final validated and verified model overlays the idea of a learning “S-curve” abstraction onto a rework cycle system archetype. Once applied in SD this matched the mental models of experienced engineering managers within the company, and triangulates with validated empirical data from within the literature. This has delivered three key benefits in practice: the development of a heuristic for understanding the work flow within projects, as a result of the interaction between a project learning system and defect discovery; the ability to produce morphologically accurate performance baselines for metrics; and an approach for enabling teams to generate benefit from the model via the use of problem structuring methodology. Jones W, Sooriyabandara M, Yearworth M, Doufexi A, Wilson RE (2016). Planning for 5G: a Problem Structuring Approach for Survival in the Telecoms Industry. Systems Engineering, 19(4), 301-321. © 2016 Wiley Periodicals, Inc. This paper examines the application of systemic problem structuring methods to the development of a research strategy in response to the challenges of fifth generation (5G). The paper proposes a methodology for strategic decision making. The key stakeholders, objectives, technologies, and boundaries from existing literature are identified and problem structuring based on hierarchical process modeling is used to explore the dependency of certain features of 5G on specific technologies, giving an indication of the importance of certain technologies over others and thus insight into where to place research effort. The hard technical challenges of 5G are discussed and equally the importance of the soft social and business challenges explored. For context, we explain how 5G will provide a platform for innovations and discuss how new and existing businesses may use this to their advantage. Problem structuring is used to explore how the challenges and opportunities of future wireless systems are related to the process of developing new business models. Freeman R, Yearworth M, Preist C (2016). Revisiting Jevons' Paradox with System Dynamics: Systemic Causes and Potential Cures. Journal of Industrial Ecology, 20(2), 341-353. © 2016, Yale University. This article examines the dynamic relationship between the consumption of goods and services, technological efficiency, and associated resource use, as described by the theory of Jevons' Paradox (JP). A theory is presented about what causes JP, in which resource efficiency savings are eventually overtaken by increases in consumption to produce a net increase in resource use and therefore environmental impacts. An application of the theory was carried out using system dynamics, modeling carbon dioxide equivalent (CO2-eq) emissions from private road transport in the UK between 1970 and 2010. The model results indicate the approximate impact of JP within the historical period: a rise in travel consumption of approximately one half and a rise in CO2-eq emissions of approximately one third. The model was used to estimate whether the European Union (EU) goal of a 40% drop in CO2-eq emissions by 2030 is achievable in the road transport sector, by adding interventions, and the results indicate that higher increases in fleet efficiency than are currently forecast, costlier travel, and a reduction in travel consumption would all be required. The theory and model presented in this article highlight the need to implement a system of interventions that can influence the strength and direction of each of the feedback loops within the system being intervened with, if CO2-eq emissions are to be more reliably reduced than they are at present. Further, because the system is constantly evolving, intervening with it requires a responsive, holistic approach, while maintaining focus on a long-term goal. Yearworth M (2016). Sustainability as a ‘super-wicked’ problem; opportunities and limits for engineering methodology. Intelligent Buildings International, 8(1), 37-47. © 2015 Taylor. &. Francis. Characterizing sustainability as a ‘super-wicked’ problem alerts us to issues beyond where current thinking about problem structuring enables engineers to deal with the merely wicked. Time is running out, no one authority is in control, we are the cause of the problem anyway, and we inherently discount the future in our everyday decision-making. When these are added to the usual definitions of wicked and messy problems, which only now are we addressing in engineering education, what are the potential limits and opportunities for the methodology of engineering in sustainability? Some modest extrapolations are discussed, based on the results from a recent research project in addressing energy planning in a city development zone. An analysis from another case study is also presented, which provides some triangulation of the ideas developed in this article. Yearworth M, Edwards G (2014). On the desirability of integrating research methods into overall systems approaches in the training of engineers: Analysis using SSM. Systems Research and Behavioral Science, 31(1), 47-66. The development of systems practitioners in engineering has revealed the need to bridge between the research methods teaching of engineering management and soft systems approaches. Although action research might be viewed implicitly as the research strategy of systems practice, we argue that engineering management research methods, in the broadest sense, require practical linking with soft systems approaches to meet the needs of research projects that span the boundary between engineering and the social world. Our observations arise from the experience of delivery of an Engineering Doctorate in Systems Programme. We explore this need for bridging using soft systems methodology as a reflective device. We argue from our analysis that systems education for engineers needs to focus on 10 key aspects that will be instrumental in bringing about the wider use of soft systems approaches to engineering systems. We present these conclusions using a process-oriented view. © 2013 John Wiley & Sons, Ltd.
Dunford CN, Yearworth M, York DM, Godfrey P (2013). A view of Systems Practice: Enabling quality in design. Systems Engineering, 16(2), 134-151. The purpose of the study was to gain a greater understanding of the use of Systems Practice among engineers working in the Rolls-Royce Defence Sector at its Bristol site and develop hypotheses about its use. This study is part of a larger project to investigate and improve the use and embedding of Systems Practice among engineers at the site. The current situation was studied using a combination of grounded theory and system dynamics, supported by the use of a computer-aided qualitative data analysis software (CAQDAS) package. The results from this work show that Systems Practice is valued as a way of enabling quality in design but engineers find it challenging to adopt because of (i) lack of stakeholder appreciation of its value, (ii) their lack of experience with Systems Engineering, and (iii) logistical issues with its application. This work will be followed by group model building sessions to further develop the findings by identifying interventions to create and assess improvement in Systems Practice, in particular finding errors earlier in the design lifecycle. © 2012 Wiley Periodicals, Inc.
Schien D, Shabajee P, Yearworth M, Preist C (2013). Modeling and assessing variability in energy consumption during the use stage of online multimedia services. Journal of Industrial Ecology, 17(6), 800-813. In this study, we use an improved, more accurate model to analyze the energy footprint of content downloaded from a major online newspaper by means of various combinations of user devices and access networks. Our results indicate that previous analyses based on average figures for laptops or desktop personal computers predict national and global energy consumption values that are unrealistically high. Additionally, we identify the components that contribute most of the total energy consumption during the use stage of the life cycle of digital services. We find that, depending on the type of user device and access network employed, the data center where the news content originates consumes between 4% and 48% of the total energy consumption when news articles are read and between 2% and 11% when video content is viewed. Similarly, we find that user devices consume between 7% and 90% and 0.7% and 78% for articles and video content, respectively, depending on the type of user device and access network that is employed. Though increasing awareness of the energy consumption by data centers is justified, an analysis of our results shows that for individual users of the online newspaper we studied, energy use by user devices and the third-generation (3G) mobile network are usually bigger contributors to the service footprint than the datacenters. Analysis of our results also shows that data transfer of video content has a significant energy use on the 3G mobile network, but less so elsewhere. Hence, a strategy of reducing the resolution of video would reduce the energy footprint for individual users who are using mobile devices to access content by the 3G network. © 2013 by Yale University. Dave S, Sooriyabandara M, Yearworth M (2013). System behaviour modelling for demand response provision in a smart grid. Energy Policy, 61, 172-181. While pilot projects in the smart grid domain have abounded through public and private efforts, there is still uncertainty in identifying effective business models for the smart grid. In this paper we take the view of a new entrant in this market acting as a third party provider of demand response. New entrants are a key player in emerging technological domains but simulation and policy analysis from this perspective have not been forthcoming. We present a novel approach for evaluating business models within a regulatory context and avoid committing to specific technical solutions but instead embark on a parameter exploration through simple yet insightful agent-based models. Our simulations analyse the impact of system performance by three key variables; participant population size, household flexibility in terms of the maximum number of DR events allowed and size of load shifting/shedding available. The simulations indicate that benefits of avoided capital investment leads to valuing a participating household at approximately £1800 over a 20 year period. These results show how mandated infrastructure influenced by policy can affect the value proposition of a demand response service and provide a useful reference for system level parameter requirements. With weak business models, policy decisions can be crucial in providing the impetus needed to spur growth in this market. © 2013 Elsevier Ltd.
Yearworth M, White L (2013). The uses of qualitative data in multimethodology: Developing causal loop diagrams during the coding process. European Journal of Operational Research, 231(1), 151-161. In this research note we describe a method for exploring the creation of causal loop diagrams (CLDs) from the coding trees developed through a grounded theory approach and using computer aided qualitative data analysis software (CAQDAS). The theoretical background to the approach is multimethodology, in line with Minger's description of paradigm crossing and is appropriately situated within the Appreciate and Analyse phases of PSM intervention. The practical use of this method has been explored and three case studies are presented from the domains of organisational change and entrepreneurial studies. The value of this method is twofold; (i) it has the potential to improve dynamic sensibility in the process of qualitative data analysis, and (ii) it can provide a more rigorous approach to developing CLDs in the formation stage of system dynamics modelling. We propose that the further development of this method requires its implementation within CAQDAS packages so that CLD creation, as a precursor to full system dynamics modelling, is contemporaneous with coding and consistent with a bridging strategy of paradigm crossing. © 2013 Elsevier B.V. All rights reserved. Yearworth M, Battle S (1998). Workflow management for multimedia information in clinical laboratories. Comput Methods Programs Biomed, 55(1), 1-9. Workflow management for multimedia information in clinical laboratories. Workflow management is a serious concern in any organisation and a clinical laboratory is a particularly good example of where the information system (LIS) needs to be well integrated with the physical system comprising the doctors, technicians and the machines necessary to analyse and report on samples. It is the points of synchronisation between events and decision making in the outside world and control flow inside the information system that constitute the problem domain of workflow management. We propose an extension to the workflow management solution described in the OpenLabs architecture specification in which the emphasis is moved away from an essentially message orientated workflow system to one where the system may reasonably expect to deal with data that includes many different types of information such as images, diagrams, graphs and sound. Our key point is extensibility; the proposed extension of the OpenLabs architecture is able to deal with new data types without significant modification of the workflow management software. Our approach has been based on using some of the desirable features of the Hypertext Markup Language (HTML) and Uniform Resource Locators (URLs) found in the World Wide Web (WWW) and the use of industry standard object technology based on the Object Management Group's (OMG) Common Object Request Broker Architecture (CORBA). Yearworth M, Hermanson B, Grimson W, Wade V, Allahwerdi N, Mouritsen T, Grimson J (1996). Computational viewpoint of the OpenLabs architecture. Comput Methods Programs Biomed, 50(2), 111-122. Computational viewpoint of the OpenLabs architecture. The computational viewpoint of the OpenLabs architecture specification concentrates on the definition of the functional interfaces between the logical modules that make up the clinical laboratory as defined in the enterprise and information viewpoints. A method is presented which transforms the information models into a specification written in Abstract Syntax Notation One (ASN.1). It is then shown how the specification can be translated into an Interface Definition Language (IDL) of a 'middleware' product which can then be compiled for implementation on a distributed system. Wade V, Grimson W, Hederman L, Yearworth M, Groth T (1996). Managing the operation of open distributed laboratory information systems. Comput Methods Programs Biomed, 50(2), 123-133. Managing the operation of open distributed laboratory information systems. This paper examines how the concepts and designs of workflow management systems and distributed systems management can be integrated and customized to manage open laboratory computing services. The paper outlines the objectives of managing laboratory computing services and identifies techniques and designs which facilitate this management. The paper also outlines the implementation of an open laboratory service management system. Grimson W, Brender J, Grimson J, Groth T, Hermanson B, Yearworth M, Wade V (1996). Specifying an open clinical laboratory information system. Comput Methods Programs Biomed, 50(2), 95-109. Specifying an open clinical laboratory information system. This paper presents an overview of the architectural infrastructure in which existing laboratory information systems can be made to interoperate with additional modules offering a range of advanced clinical laboratory functionalities. The infrastructure is based on an open distributed computing platform, and its specification is described using the open distributed processing reference model. O'Moore RR, De Moor G, Boran G, Gaffney P, Grimson J, McNair P, Groth T, Nykänen P, Hasman A, Eller J, et al (1994). OpenLabs: the application of advanced informatics and telematics for optimization of clinical laboratory services. Computer Methods and Programs in Biomedicine, 45(1-2), 137-140. OpenLabs has four major objectives: to improve the efficiency and effectiveness of clinical laboratory services by the integration of Knowledge Based Systems (KBSs) with Laboratory Information Systems (LISs) and equipment; to provide and implement standard solutions for Electronic Data Interchange (EDI) between laboratories and other medical systems; to specify a fully Open architecture for an integrated Clinical LIS and demonstrate the integration of various KBS modules on the open architecture platform; and to demonstrate the integration of OpenLabs modules with existing LISs. © 1994. Sharpe PK, Solberg HE, Rootwelt K, Yearworth M (1993). Artificial neural networks in diagnosis of thyroid function from in vitro laboratory tests. Clinical Chemistry, 39(11 I), 2248-2253. We studied the potential benefit of using artificial neural networks (ANNs) for the diagnosis of thyroid function. We examined two types of ANN architecture and assessed their robustness in the face of diagnostic noise. The thyroid function data we used had previously been studied by multivariate statistical methods and a variety of pattern-recognition techniques. The total data set comprised 392 cases that had been classified according to both thyroid function and 19 clinical categories. All cases had a complete set of results of six laboratory tests (total thyroxine, free thyroxine, triiodothyronine, triiodothyronine uptake test, thyrotropin, and thyroxine- binding globulin). This data set was divided into subsets used for training the networks and for testing their performance; the test subsets contained various proportions of cases with diagnostic noise to mimic real-life diagnostic situations. The networks studied were a multilayer perception trained by back-propagation, and a learning vector quantization network. The training data subsets were selected according to two strategies: either training data based on cases with extreme values for the laboratory tests with randomly selected nonextreme cases added, or training cases from very pure functional groups. Both network architectures were efficient irrespective of the type of training data. The correct allocation of cases in test data subsets was 96.4-99.7% when extreme values were used for training and 92.7-98.8% when only pure cases were used. Sharpe PK, Solberg HE, Rootwelt K, Yearworth M (1993). Artificial neural networks in diagnosis of thyroid function from in vitro laboratory tests. Clin Chem, 39(11 Pt 1), 2248-2253. Artificial neural networks in diagnosis of thyroid function from in vitro laboratory tests. We studied the potential benefit of using artificial neural networks (ANNs) for the diagnosis of thyroid function. We examined two types of ANN architecture and assessed their robustness in the face of diagnostic noise. The thyroid function data we used had previously been studied by multivariate statistical methods and a variety of pattern-recognition techniques. The total data set comprised 392 cases that had been classified according to both thyroid function and 19 clinical categories. All cases had a complete set of results of six laboratory tests (total thyroxine, free thyroxine, triiodothyronine, triiodothyronine uptake test, thyrotropin, and thyroxine-binding globulin). This data set was divided into subsets used for training the networks and for testing their performance; the test subsets contained various proportions of cases with diagnostic noise to mimic real-life diagnostic situations. The networks studied were a multilayer perceptron trained by back-propagation, and a learning vector quantization network. The training data subsets were selected according to two strategies: either training data based on cases with extreme values for the laboratory tests with randomly selected nonextreme cases added, or training cases from very pure functional groups. Both network architectures were efficient irrespective of the type of training data. The correct allocation of cases in test data subsets was 96.4-99.7% when extreme values were used for training and 92.7-98.8% when only pure cases were used. Nykänen P, Boran G, Pincé H, Clarke K, Yearworth M, Willems JL, O'Moore R (1993). Interpretative reporting and alarming based on laboratory data. Clin Chim Acta, 222(1-2), 37-48. Interpretative reporting and alarming based on laboratory data. The utilisation of laboratory services for patient diagnosis and management involves many steps with both clinical and laboratory components. The clinical components include the decision to order a test, interpretation of the test results and actions taken on the basis of the results. The laboratory components on the other hand include receipt of the request, specimen collection, preparation and analysis, result entry, test result validation and verification and reporting of the results. In this paper, which is part of the OpenLabs project, we concentrate on the post-analytical applications which include interpretation and reporting of the laboratory results to the users in primary care and in high dependency care units. The final objective of the work described is to develop generic modules which can be integrated both with an Open laboratory information system architecture and existing laboratory information processing environment. Gorrod MJ, Coe MJ, Yearworth M (1989). Parallel processing of Monte Carlo simulations using a transputer array. Nuclear Inst. and Methods in Physics Research, A, 281(1), 156-161. The Parallel form of the code for a Monte Carlo simulation of a balloon borne γ-ray telescope is considered. The simulation was written using the EGS4 package developed at Stanford Linear Accelerator Centre and was modified and executed on a transpoter array. A large elapsed time speed-up has been achieved with this system. Further speed-up is possible by simple hardware enhancements with negligible modification to the software. © 1989. Court AJ, Dean AJ, Yearworth M, Younis F, Butler RC, Caroli E, Di Cocco G, Stephen JB, Chiappetti L, Perotti F, et al (1988). A position sensitive detector using a NaI(Tl)/photomultiplier tube combination for the energy range 200 keV to 10 MeV. Nuclear Inst. and Methods in Physics Research, A, 273(2-3), 706-710. The performance of the position sensitive detector for the ZEBRA low energy gamma-ray imaging telescope is described. The detector consists of 9 position sensitive Nal(TI) elements each 5.8 × 5.0 × 56.0 cm viewed at either end of the long axis by 2 in. photomultiplier tubes. The total active area is 2470 cm2 with an average positional resolution of 2.1 cm and energy resolution of 15% FWHM at 661.6 keV. The method of flight calibration is described together with the provision within the on-board electronics to correct for sources of error in the calculation of event energy loss and position. The results presented are obtained from the calibration phase of the ZEBRA telescope project. © 1988. Yearworth M, White L (2019). Group Support Systems: experiments with an online system and implications for same-time/different places working. In Kilgour DM, Eden C (Eds.) Handbook of Group Decision and Negotiation, Springer. Yearworth M, White L (2017). Demystifying facilitation: a new approach to investigating the role of facilitation in group decision support processes. In Bajwa D, Koeszegi ST, Vetschera R (Eds.) Group Decision and Negotiation. Theory, Empirical Evidence, and Application: 16th International Conference, GDN 2016, Bellingham, WA, USA, June 20-24, 2016, Revised Selected Papers, Springer, 69-86. Lowe D, Oliver P, Midgley G, Yearworth M (2017). Evaluating How System Health Assessment can Trigger Anticipatory Action for Resilience. In Madni AM, Boehm B, Ghanem R, Erwin D, Wheaton MJ (Eds.) Disciplinary Convergence in Systems Engineering Research, Springer, 765-776. White L, Burger K, Yearworth M (2016). Big Data and Behavior in Operational Research: Towards a “Smart OR”. In Kunc M, Malpass J, White L (Eds.) Behavioral Operational Research Theory, Methodology and Practice, Palgrave Macmillan, 177-193. White L, Burger K, Yearworth M (2016). Smart cities:big data and behavioral operational research. In Kunc M, Malpass J, White L (Eds.) Behavioral Operational Research Theory, Methodology and Practice, Palgrave Macmillan, 303-318. Gilbert D, Shrieves L, Yearworth M (2015). A Case Study of Applying Complexity Leadership Theory in Thales UK. In Auvray G, Bocquet JC, Bonjour E, Krob D (Eds.) Complex Systems Design & Management, Cham: Springer, 199-211. White L, Yearworth M, Burger K (2015). Understanding PSM Interventions Through Sense-Making and the Mangle of Practice Lens. In Kaminski B, Kersten G, Szapiro T (Eds.) Outlooks and Insights on Group Decision and Negotiation 15th International Conference, GDN 2015, Warsaw, Poland, June 22-26, 2015, Proceedings, Springer, 13-27. Yearworth M, Singer JW, Adcock R, Hybertson D, Singer M, Chroust G, Kijima KJ (2015). Systems engineering in a context of Systemic Cooperation (SCOOPs): Development and implications. White L, Yearworth M, Burger K (2015). Understanding PSM interventions through sense-making and the mangle of practice lens. Walworth T, Yearworth M, Shrieves L (2014). Knowledge management for metrics: Enabling analysis and dissemination of metrics. Gilbert D, Yearworth M, Oliver L (2014). Systems approach to the development and application of technical metrics to Systems Engineering projects. Winter DJ, Ashton-Rickardt P, Ward C, Yearworth M, McMahon C, Potter K (2014). Systems thinking for rapid decision making in industrial contexts. Walworth T, Yearworth M, Davis J, Davies P (2013). Early estimation of project performance: the application of a system dynamics rework model. Yearworth M, Edwards G, Davis J, Burger K, Terry A (2013). Integrating problem solving and research methods teaching for systems practice in engineering. Parsley A, York D, Dunford C, Yearworth M (2013). The use of a systems engineering process guide to accelerate improvement in systems engineering application and expertise. Yearworth M, Cornell S (2012). Contested modelling. Schien D, Preist C, Yearworth M, Shabajee P (2012). Impact of location on the energy footprint of digital media. Schien D, Shabajee P, Wood SG, Yearworth M, Preist C (2012). LCA for green system design of digital media. Henning PB, Wilmshurst J, Yearworth M (2012). Understanding systems thinking: an agenda for applied research in industry. Dunford CN, Yearworth M, Godfrey P, York D, Parsley A (2012). Using Systems Practice to enable quality in design. Dave S, Sooriyabandara M, Yearworth M (2011). A Systems Approach to the Smart Grid. Author URL. Yearworth M (2011). Systems practice in engineering: Reflections on doctoral level systems supervision. Byde A, Yearworth M, Chen KY, Bartolini C (2003). AutONA: a system for automated multiple 1-1 negotiation. Mont MC, Yearworth M (2002). Negotiated revealing of traders' credentials in e-marketplaces: Dealing with trust and privacy issues. Yearworth M, Hobbs A, Taylor NP, Tidmus JP, Still P (2002). Travel information highway. Yearworth M, Taylor N, Tidmus J, Fraser I, Still P (2000). A CORBA service for road traffic information on the Internet. Yearworth M, Hobbs A, Taylor NP, Tidmus JP, Still P (2000). Travel Information Highway. Hobbs A, Yearworth M, Still P (1999). Traffic information highway. Roberts A, Yearworth M (1992). A comparison of preprocessing transforms for neural network classification of character images. Author URL.